Dyed fleece from Lanificio Ermenegildo Zegna, the brand’s world-renowned wool mill located in Trivero, Italy. On a breezy spring morning in Trivero, a small hillside town in the Italian Alpine province of Biello, Anna Zegna is opening the shutters of Casa Zegna to let the fresh air in. “Welcome,” she says, “to our wool mill on top of a mountain.” Anna is the granddaughter of Ermenegildo Zegna, the man who founded his eponymous company in 1910. Today Zegna is one of Italy’s most respected family businesses and one of the world’s best- loved luxury fashion houses. Following a model of vertical integration and sustainable practice, “from sheep to shop” as they like to say, these mills in the hills produce 2.5 million square feet of woolen textile a year. Zegna has more than 500 stores worldwide and reported revenues last year of $1.4 billion. Unlike so many cultural dynasties that reach 100 and succumb to stagnation, the Zegna story is a breath of fresh air indeed. Another grandchild, Gildo (Anna’s brother) is the CEO of Ermenegildo Zegna, while Anna is the president of the Zegna Foundation. The latter was set up in 2000 in Trivero, to ensure that their grandfather’s pioneering ethos continued as an embedded part of all Zegna’s activities. Nonno Zegna’s principles were extraordinarily prescient, with little separation between personal and professional life. He believed a healthy company should look after its workers and understood there was a direct parallel between the quality of the product he made and the quality of life of his employees. He invested heavily in supporting the local community beyond just providing employment. He built housing, a hospital and a swimming pool, and planted half a million conifer trees to create a spectacular panorama for his factory to sit in and his workers to enjoy. “He believed that to create beauty, you had to be surrounded by beauty,” Anna says. Impressively, at a time when industrialization was expanding globally following the Fordist model, Zegna championed not just production but philanthropy, culture and communication as crucial cornerstones of his empire. These are the principles that Anna and the Zegna Foundation safeguards today. This year marks the 50th anniversary of Zegna’s entry into the ready-to- wear market, a move masterminded in 1968 by Ermenegildo’s two sons, Angelo (Anna’s father) and Aldo. A significant milestone for Zegna, this move heralded an extraordinary moment of convergence between business, fashion and life: Industry became culture and the brand became a lifestyle. It’s hard in today’s climate of brand oversaturation to imagine how exciting this must have been. Yet like black-and-white pieces of a jigsaw clicking into place and suddenly becoming a Technicolor picture, this was the beginning of the idea that one’s identity could be reflected in one’s choice of clothing, accessories, car, furniture and gadgets. The ’60s and ’70s are considered decades of social and cultural revolution for a reason; this is the story that an exhibition at Casa Zegna, “Uomini All’Italiana 1968,” beautifully tells. Running through October 28, the show charts how Zegna’s ready-to-wear business simultaneously manifested and defined the culture of the brand, the associated value of the Made in Italy moniker and the spirit of La Dolce Vita. “My father and uncle worked out how to bring the company’s sartorial expertise into the design and modernity of the 1960s,” Anna explains as she guides us through the exhibition. “They published TOP, a biannual magazine that told the story of our culture, and Italian culture too. It wasn’t just aesthetics, we had a sociological perspective also. We engaged thinkers, writers, artists and photographers to bring this idea to life that fashion is not just fashion, it is culture.” The names involved in TOP read like a roll-call of 20th-century Italian creative titans: Alfa Castaldi, Oliviero Toscani, Anna Piaggi, Umberto Eco, Gian Paolo Barbieri—to name just a handful. The genius here was not just in the imaginative telling of Zegna’s own story, but in the cementing of the brand’s reputation as a cultural pioneer far beyond fashion manufacturing. 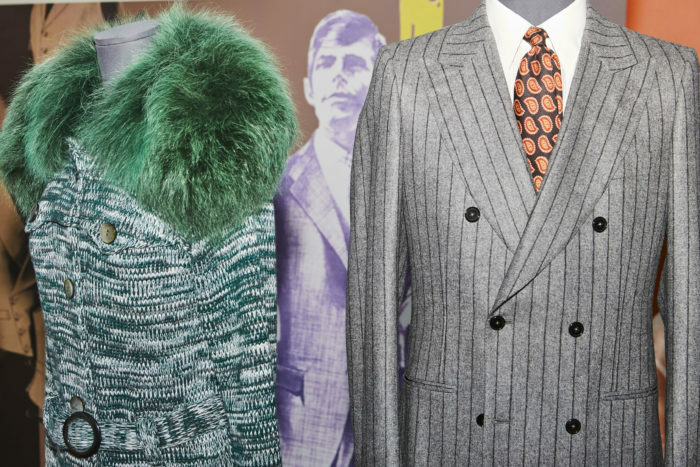 The exhibition “Uomini all’Italiana 1968” celebrates the 50-year anniversary of Zegna’s entry into ready-to-wear and features pieces from the late 1960s and ‘70s. Enlightened cultural commissioning has formed a core part of Zegna’s brand appeal ever since. It frames every fashion presentation, and stretches way beyond others’ uses of art as little more than a marketing tool. 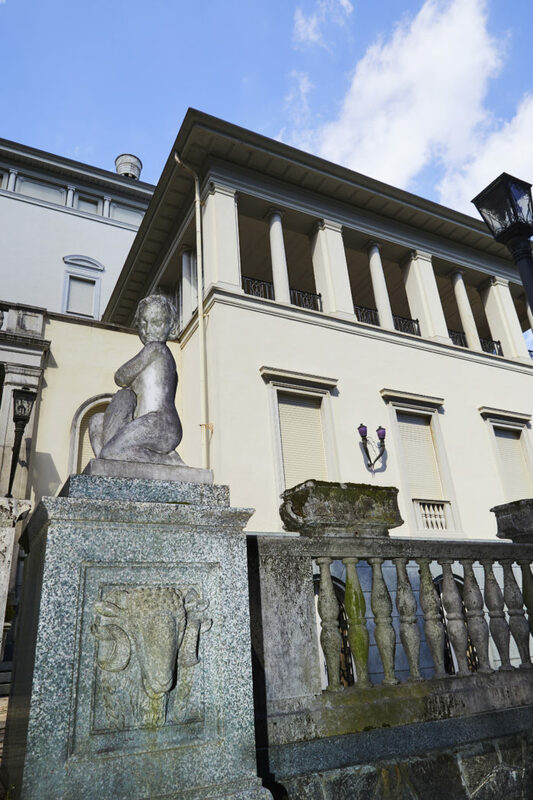 Recent initiatives include the foundation’s All’Aperto project, which since 2008 has seen a series of site-specific permanent artworks commissioned in the Trivero surroundings for the benefit of the local community. Artists have included Daniel Buren, Roman Signer and Liliana Moro. In 2012, the group launched ZegnArt, with a three-pronged approach to artistic collaboration and curation. Dedicated to commissioning artworks for their stores and engaging in special projects globally, ZegnArt also includes a platform for cultural dialogue and exchange in commissions and residences with emerging countries. Back at Casa Zegna. Anna shows us the room where her grandfather used to host meetings and entertain clients. The walls are painted with murals in the tradition of the Florentine Renaissance frescoes, showing the Zegna mill process of turning sheep wool into textiles. “They were painted by Michelangelo Pistoletto’s father,” says Anna, “one of our earlier commissions using art to communicate our culture, telling the story of who we are and what we believe in.” Zegna is more than a mill on a hill, and more than a fashion brand too; it’s a cultural repository filled with art, heart and soul.